My main monitor is a NEC PA322UHD and my secondary is a NEC EA275UHD. I set them both up on a new computer with a NVIDIA GeForce 745, the PA322 on DisplayPort and the EA275 on HDMI. I messed around with monitor settings for a while and nothing worked. I installed the latest NEC drivers and that didn’t help. 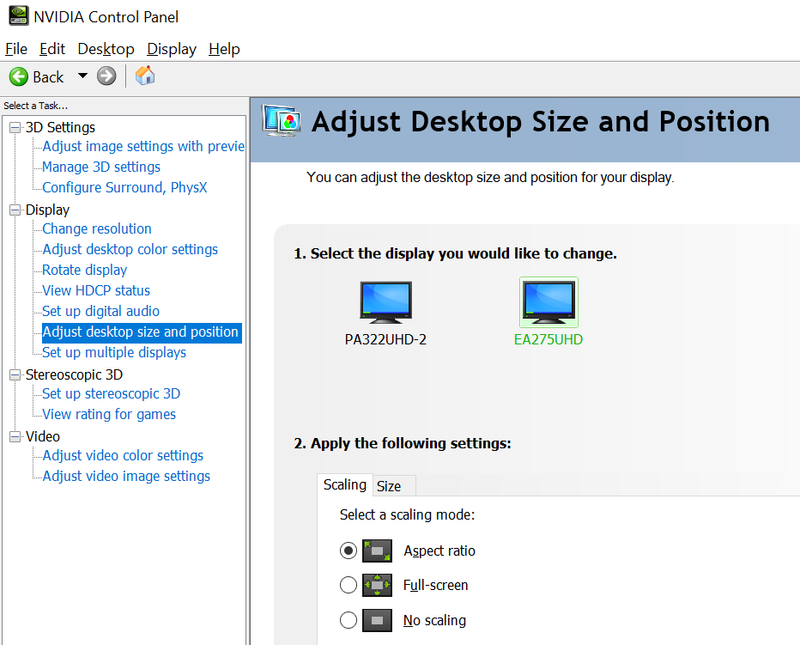 I then opened the NVIDIA control panel and saw that all settings where the same. For the heck of it, I selected the “Full Screen” radio button, under “Apply the following settings”, clicked Apply, which flashed the monitors and it worked! 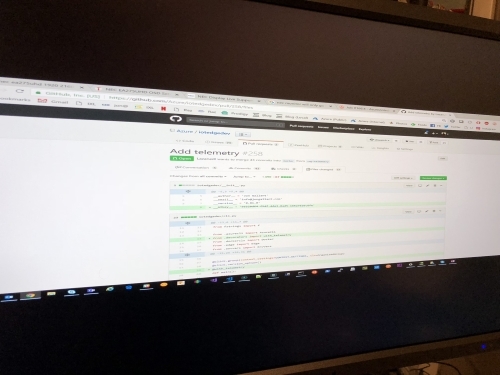 The monitor now expands to the full resolution. What is interesting, is I then switched it back to the first option, “Aspect Ratio” and clicked Apply, and it also kept the full resolution. Seems like a bug in the NVidia Control Panel.